From the top of the Midnight Dome, visitors look west towards Dawson City, a small cluster of buildings hugging the Klondike River. From high up, the pastel-coloured businesses in town look like miniatures. The hand-painted signs, their frontier-style lettering spelling out “gold” — the lore of the land — can’t be seen, but still exert a powerful force over the community of more than 1,300 people. On the east side of town, visitors look down on long, winding rows of piled rock. These waste rocks were left behind by mining dredges, massive wooden machines that inched slowly through the Klondike goldfields, forever scarring the landscape in search of gold. 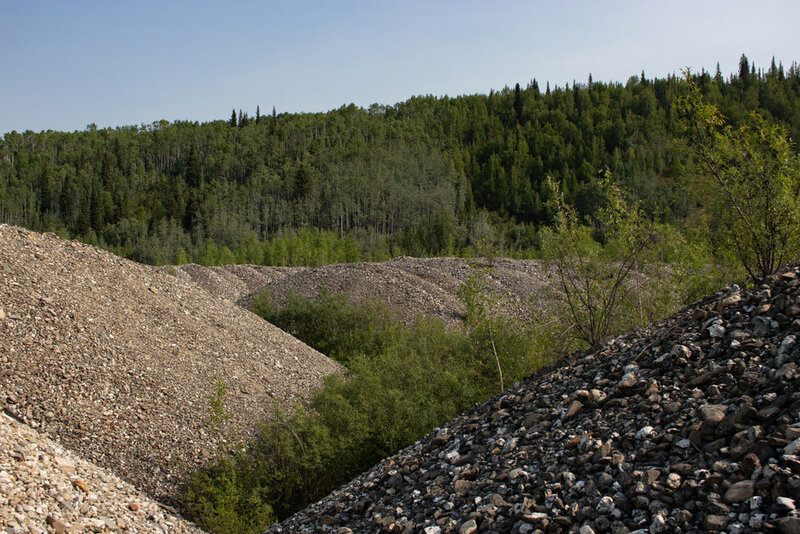 The dredge tailings provide visual testimony to the history of the Klondike. It’s a history that draws tourists from around the world — it’s the call of the wild and the promise of riches. It’s the strange things done in the midnight sun. 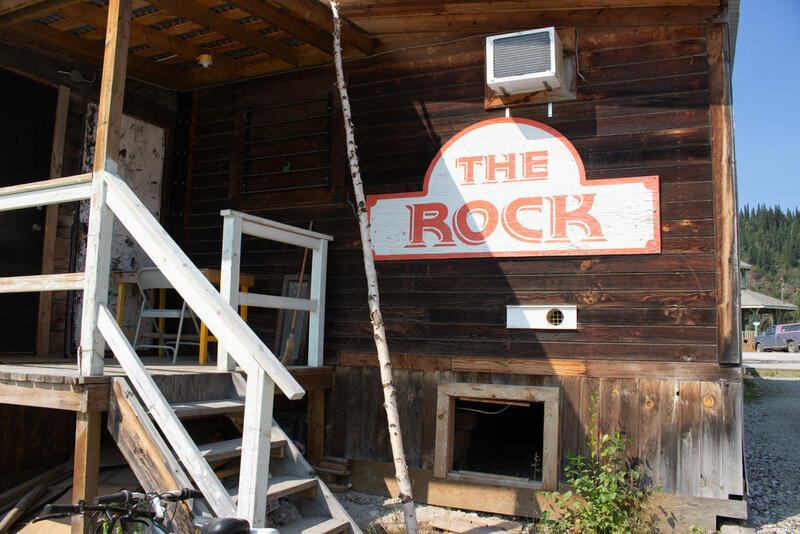 One hundred twenty years after the height of the Klondike gold rush, prospectors say they are still looking for the hard rock deposit that fed millions of ounces of gold into the territory’s rivers and gravel beds. Goldcorp, the fifth-largest mining company in the world and the largest Canadian producer, has set their sights on a deposit near Coffee Creek, where prospectors found gold in 2009. But the proposed Coffee Gold mine project remains contentious. About 130 kilometres south of Dawson City — the town born out of the Klondike gold rush — First Nations and mining giants are trying to navigate the corporate consultation process outlined in the Truth and Reconciliation Commission recommendations and by individual First Nations’ self-governance agreements. The story of the Klondike is a story of land and what lies beneath it: who reaps its benefits, and who’s left to clean up after the gold dries up. It was August, 1896. Before George Carmack, his wife Kate Carmack, her brother Skookum Jim and their nephew Tagish Charlie set out for Rabbit Creek, they ran into Robert Henderson. Henderson was a prospector from Nova Scotia who, by then in his late-30s, had searched both hemispheres for gold. 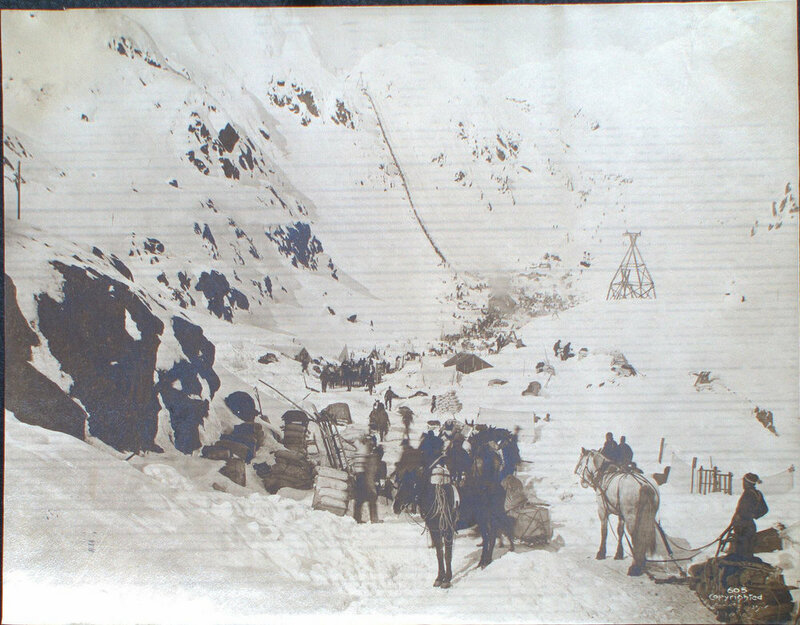 In keeping with the unwritten prospectors’ code, Henderson tipped off Carmack about gold at Gold Bottom Creek. But in doing so, he made it clear that he was not willing to share anything with Carmack’s First Nations relatives — Skookum Jim and Tagish Charlie. Only Carmack, who was non-Indigenous, would be allowed to benefit. On top of his unkind words, Henderson refused to sell tobacco to the First Nations prospectors. The group left Henderson behind, promising to send word back if they found anything. Once at Rabbit Creek, one of them saw a glimmer in the water. Gold. The group staked their claims the next day. 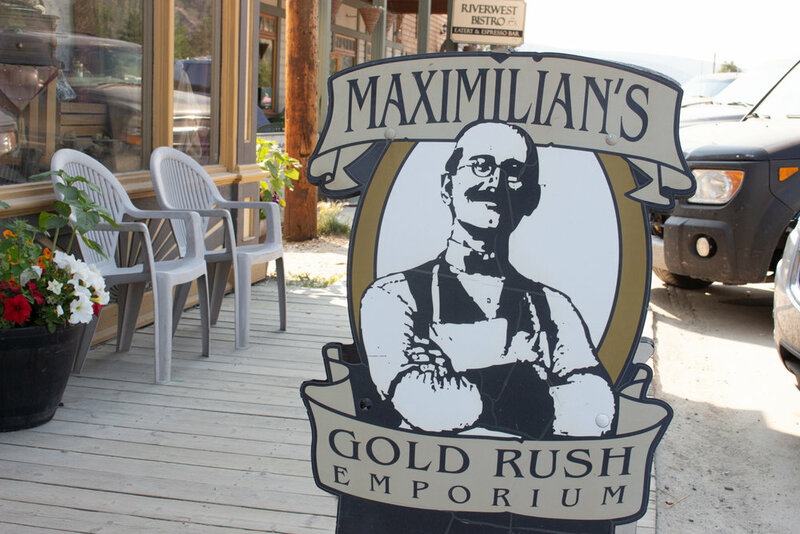 Miners rushed south from Forty Mile, where a decade-old gold discovery was drying up. By the next summer, prospectors were flooding the ports of Dyea and Skagway, Alaska. Dawson City, which sprung up after the group saw gold in the water, swelled to about 5,000 people that year, and 30,000 the next. Offended by Henderson’s insults, the group didn’t send word back to him. By the time Henderson heard about the discovery, all their claims had been staked. The Tr’ondëk Hwëch’in people spent their summers fishing salmon and hunting moose at Tr’ochëk, their traditional camp, as they’d done for generations. Their camp sat on the bank of the Yukon River, where it met the Klondike, a word that came from Tr’ondëk, which the miners had difficulty pronouncing. As Rabbit Creek became Bonanza Creek, and Klondike became a household name, the Tr’ondëk Hwëch’in were displaced from their ancestral land. They moved downstream to the village of Moosehide. Their fishing camp became Lousetown, known for its red-light district and saloons. The gold rush dried up as quickly as it came. By 1899, the boom had quieted. The profiteers began to disperse, leaving behind telephones, streetlights and deep, unsightly scars in the land they had renamed. “We were never compensated at all, from all of the gold that was extracted from our traditional territory,” said Tr’ondëk Hwëch’in Chief Roberta Joseph during an interview on the banks of the Yukon River. Instead, the benefits of gold mining have historically travelled outside of the territory. Kathleen Moylan, a Yukon-based environmental educator, had more questions than answers when it came to mining in the region where she lives and works. “Who gets the million dollars? And whose perspective rules on these things? How do we measure wealth in the true sense when we remove prime habitat for future generations?” she said. Moylan opposes mining in general, but understands the industry holds incredible influence in the region. “Who benefits? Usually it’s the Toronto Stock Exchange, not Yukoners,” Moylan said. From exploration to extraction, production and mine closure, the negative impacts of the industry bear down on the Yukon. Hard rock mining for gold embedded in quartz deposits exposes rock buried deep in the ground. The crushed rock and tailings can seep radioactive elements, asbestos-like substances and metallic dust into the ground if not properly disposed of. Temporary and permanent residents feel pressures as a result of the industry. “There’s a huge amount of displacement, not to mention social problems like drugs and alcohol,” Moylan said. Moylan fears mining giants could lack the actions to match their promises when it comes to reaping the benefits of gold and protecting people and wildlife. This July, the Tr’ondëk Hwëch’in celebrated 20 years of self-governance. Today, when a mining company wants to look for gold on First Nations traditional territory, by law, they must formally consult the First Nation in question. More than a century after Henderson snubbed Skookum Jim and Tagish Charlie, and the Tr’ondëk Hwëch’in were driven away from their fishing camp, the First Nation is in talks with one of the world’s largest mining companies. Goldcorp is a Vancouver-based multibillion-dollar company with operations in North and South America. In 2016, Goldcorp acquired Kaminak Gold Corporation for $520 million in order to take hold of Kaminak’s key asset — the Coffee Gold mine project. The 60,000-hectare land package containing the mine — a mass of land just smaller than the city of Toronto — is still in the permitting phase, with plans to develop an open pit operation. Proposed mining activities involve a cyanide heap leach plant for extracting gold from the ores, water management infrastructure, facilities for tailings and waste rock, and a camp for the fly-in, fly-out site. Roger Souckey, Goldcorp’s director of sustainability and human resources for the Coffee Gold project, says Goldcorp is engaging with four First Nations in the Yukon whose traditional territories could be affected by the proposed mine, and who, according to TRC recommendations, should benefit financially from the proposed mine: Tr’ondëk Hwëch’in, the First Nation of Nacho Nyak Dun, Selkirk First Nation and White River First Nation. 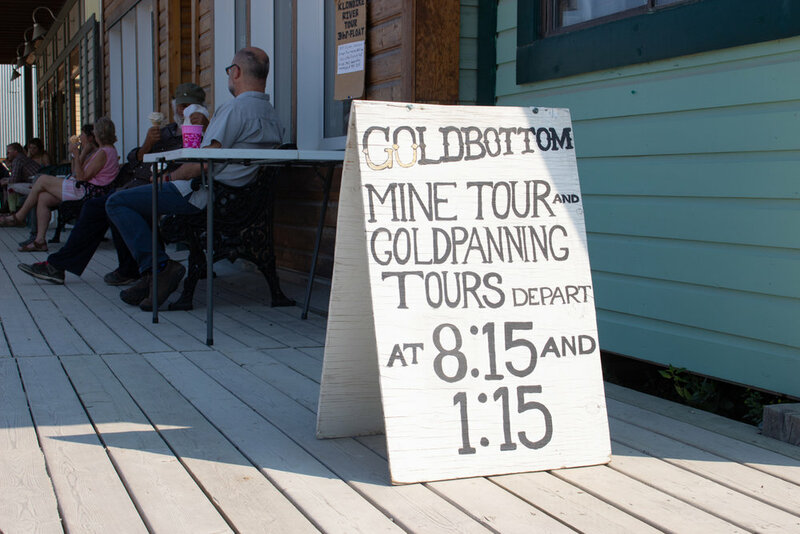 Goldcorp’s Coffee mine is located 130 km south of Dawson City, verging on the traditional territory of four Yukon First Nations. On April 30, Tr’ondëk Hwëch’in and Goldcorp signed a collaboration agreement following several years of discussions with the international mining giant and its predecessor, Kaminak. It’s the first time Goldcorp has reached such an agreement with a First Nation in the Yukon — a testament to ensuring economic opportunities and social and environmental protections. Souckey says that the agreement touches upon land and water stewardship as well as training, procurement and financial compensation. “It's a shining example of what Umbrella Final Agreement implementation can look like when we unite to create a more prosperous future in Yukon," Premier Sandy Silver said about the agreement signed less than a year after the territory and Tr’ondëk Hwëch’in reached a deal requiring notice for mining exploration in their traditional areas. For the First Nation’s chief, the Coffee Gold project means opportunity for Tr’ondëk Hwëch’in citizens. Joseph pointed to employment and training opportunities, as well as opportunities for Tr’ondëk Hwëch’in-led businesses to obtain contracts down the line. “Some of our citizens are invested or have mining companies that they've been involved with for the majority of their lives,” Joseph said. According to Joseph, positive statistics related to employment were announced at the Tr’ondëk Hwëch’in general assembly. At that time, she said, there were only 11 citizens on social assistance. “That’s really positive,” Joseph said. She cited seasonal work, site maintenance, and benefits agreements with mining companies as contributing factors. Throughout negotiations with Goldcorp, Joseph said she has reached out to Tr’ondëk Hwëch’in citizens and elders. 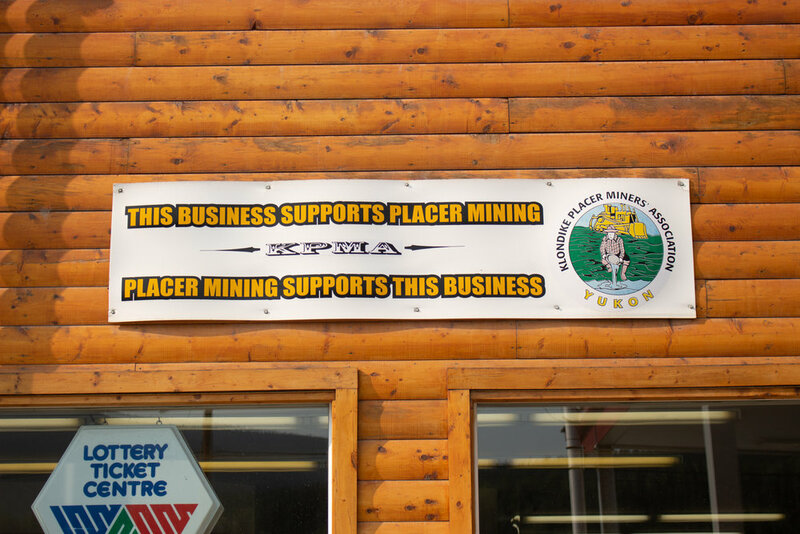 While their agreement is a milestone for the territory, the historic impact of mining in the Klondike region cannot be forgotten. It’s imprinted into the land. Just over 200 km east of Coffee Creek, the remnants of the abandoned Faro Mine have completely defaced the area. The largest open pit lead-zinc mine in the world, according to the Government of Canada, left behind 70 million tonnes of tailings and 320 million tonnes of waste rock and has the potential to leach toxic chemicals into surrounding land and water. Now, the federal, territorial and First Nations governments are stuck footing the bill to clean up and remediate the mess. No one wants another Faro Mine. White River First Nation also claims ancestral ties to Coffee Creek. The First Nation is not a self-governing entity, unlike Tr’ondëk Hwëch’in, meaning the Indian Act still applies. “We lived there, and some of our family members were born there,” Chief Angela Demit said about her community, some of whom now reside in Beaver Creek along the Alaska-Canada border, over 400 km away from Dawson City. Her family and ancestors travelled Coffee Creek between Dawson, Fort Selkirk and Snag long before the Alaska Highway. For Demit, preserving the legacy of their ancestral land is a way of keeping future generations in touch with their history. The White River First Nation chief said that her community’s attitude towards mining has changed over time. Demit believes that, as community members develop a greater understanding of the project through open meetings and site visits, their concerns may subside. “With the new mining company, no meeting has occurred yet,” she said, but she looks forward to hopefully meeting in the near future. A spokesperson for the Yukon Environmental and Socio-economic Assessment Board (YESAB), the independent agency responsible for regulating projects in the region, said that White River First Nation’s proposed traditional area is not captured in the requirements for consultation under the Yukon Environmental and Socio-economic Assessment Act. Souckey says Goldcorp inherited an agreement with White River First Nation following the Kaminak acquisition, and is currently trying to negotiate with the First Nation. The Coffee Gold project currently sits at the adequacy review stage after submitting an application to YESAB. On May 14, White River First Nation sent in their views on Goldcorp’s project, pointing fingers at the mining giant and YESAB for failure to consult and inadequate consideration of the First Nation’s rights and interests. “It is evident that [White River First Nation] has become increasingly frustrated with the assessment process. We have sought reconciliation and recognition of our asserted right in the Coffee Creek since the early 1990s — well before the current pressure for an industrial mining complex in this region,” the First Nation’s legal counsel wrote in their letter to YESAB. On June 29, Goldcorp sent their response to YESAB’s adequacy review to the federal government, the Yukon government and three of the four First Nations with territory in question, excluding White River First Nation. YESAB has 60 days to complete the review. Project screening will only go ahead after the assessment. If the project does not pass, then it will go to a panel for scrutiny at the territory’s highest level. This level of scrutiny has only been applied once before in the territory, to the proposed Casino project, which neighbours the Coffee site. Generally, industry applications are settled before panel review is necessary. 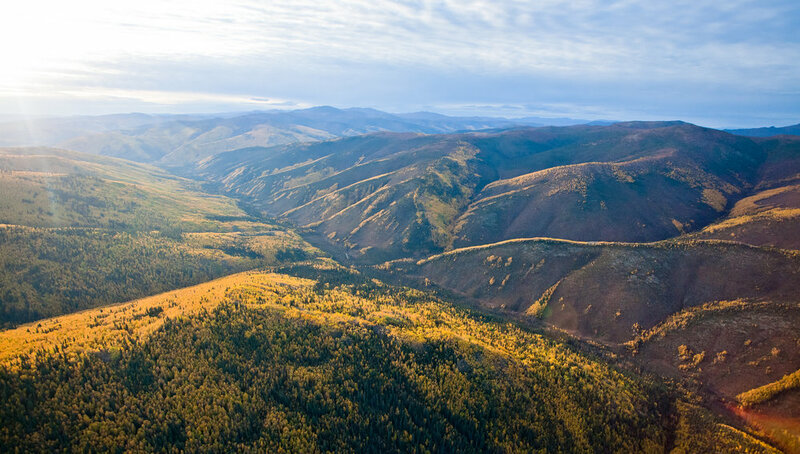 By engaging with First Nations throughout the YESAB review process, mining companies in the Yukon are attempting to undertake this consultation process. What’s less clear, though, is whether that procedure is designed to reflect the needs of affected First Nations. In calling for a YESAB panel review, the White River First Nation has previously expressed concerns with the extent to which the review processes take traditions and oral history into account. Beyond that, it’s difficult to measure the point where consultation becomes true partnership. “It’s one thing to check the box that we’ve talked to the First Nation, it’s another thing to, right from the very beginning, establish a partnership, and establish a role for the First Nation from beginning to end,” said Rhiannon Klein, who teaches in the Indigenous governance program at Yukon College. The terms of consultation and partnership may also differ between First Nations who have signed self-government agreements and those who have not. In addition to having a lengthy history of mining on their land, the Tr’ondëk Hwëch’in have signed a self-government agreement under which they have jurisdiction over land and resources on their traditional territory. Souckey, on behalf of Goldcorp, said the engagement process differs between First Nations with self-government agreements and First Nations that remain under the Indian Act because they’re governed differently. “There certainly are some differences in approach, differences in community needs,” Souckey said. Chief Joseph said that, for Tr’ondëk Hwëch’in citizens, the Coffee project means opportunity, but it also means ensuring the assessment process is carried out correctly. Stewart Guy, director of compliance, monitoring, and inspections at Yukon Energy, Mines and Resources, said there is generally support for economic development in the Yukon because of the territory’s unique history. The Coffee project is an opportunity to find out whether the TRC has ushered in a new era of effective consultations between First Nations and mining companies. While Goldcorp waits for YESAB to complete their review, the Trudeau government and the Yukon premier have already announced funding to build roads to the Coffee site. The site at Coffee Creek and the mining camp that has sprung up around it can only be accessed by air. From the top of the Midnight Dome, it’s out of sight. Visible, though, is the place where the Yukon River and the Klondike River meet. More than a century after a stampede overtook the region, the community at the confluence is once again called Tr’ochëk. Klondike City and Lousetown are long gone. North of Dawson City sits Moosehide, where the Tr’ondëk Hwëch’in stayed after leaving Tr’ochëk in 1897. They spent 50 years at the site before many citizens moved to Dawson City during the period of residential schools, when language and culture were lost. Today, Moosehide is a site of cultural renewal and healing. At the end of July, at the biennial Moosehide gathering, Alaskan Indigenous people will return dances and songs that Chief Isaac lent them for safekeeping after he moved the Tr’ondëk Hwëch’in to Moosehide at the height of the gold rush. Visitors come to Dawson City from around the world to experience its history. From the top of the Midnight Dome, they look out onto its past. They hear stories of a mining town that sprang up almost overnight. But they also see scars in the land that will never go away. 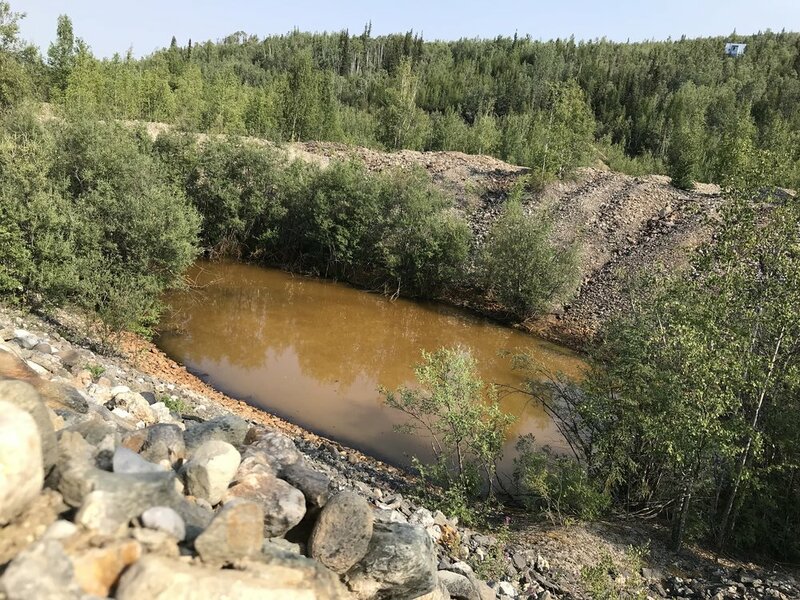 Past the dredge tailings, out of sight down Bonanza Creek and Hunker Creek, are active placer mining claims, where hopefuls are still uprooting soil in search of gold. Farther still, the Coffee Gold hard rock site, where operations are planned for 2021.